Peter Shapiro is a partner in the New York office of Lewis Brisbois and a member of the Labor & Employment, Professional Liability, Complex Business & Commercial Litigation, Business Practices, Appellate, and Directors & Officers Coverage & Litigation Practices. Mr. Shapiro’s practice is concentrated in employment and professional liability law, commercial litigation, and appeals in New York and New Jersey. Mr. Shapiro has more than 30 years of litigation experience, with emphasis on the defense of employment discrimination, non-compete, wage and hour, civil rights, trade secrets, legal malpractice, defamation, commercial, and miscellaneous professional liability matters. He also counsels clients regarding employment law compliance issues. Mr. Shapiro has additional experience litigating ERISA and life, health, and disability insurance matters. Mr. Shapiro is Northeast Regional Vice-Chair of the firm’s Labor & Employment Practice. Mr. Shapiro was previously Co-Chair of the EEO Committee and a member of the Executive Committee of the Labor and Employment Section of the New York State Bar Association, and he remains an active member of the Section. Mr. Shapiro has handled numerous trials, arbitrations, and appeals. He has successfully mediated a myriad of employment and other disputes and remains devoted to achieving creative and cost-effective solutions in appropriate cases and aggressively litigating defensible cases. 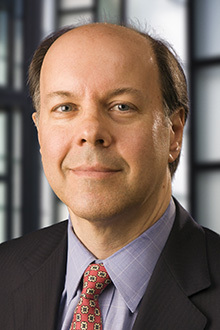 In addition, Mr. Shapiro has extensive experience defending attorneys, debt collectors, creditors, real estate and insurance agents and brokers, real property managers, appraisers and inspectors, third-party administrators, social services agencies and financial institutions in a wide range of litigation, including claimed violations of civil rights, consumer lawsuits alleging violations of the Fair Debt Collection Practices Act, the New York General Business Law, the New Jersey Consumer Fraud Act, claims under the Racketeering Influenced and Corrupt Organizations Act (RICO), and other statutory and common law claims. Additionally, Mr. Shapiro has represented defendants in claims of alleged professional malfeasance concerning the design and operation of websites and claims of allegedly deficient software design. Longo v. Long Island Railroad, 116 A.D.3d 676 (App. Div. 2d Dep’t 2014) (holding that the trial court ruled correctly when, in addition to granting summary judgment dismissing plaintiff’s personal injury claim pursuant to New York Labor Law §200, it denied plaintiff’s motion for leave to amend to assert claims pursuant to Labor Law §241(6) and the New York Industrial Code (12 NYCRR 23-2.1(b)) on the basis of futility). 2d Circuit Court of Appeals, 3d Circuit Court of Appeals, S.D.N.Y., E.D.N.Y., W.D.N.Y, N.D.N.Y, D.N.J., E.D. Mich., D. Ct. and D. Co.